A very popular old school party game is the Limbo. The game is innocent enough, you simply have two friends hold a stick, play some crazy type polka music and have people walk under the bar with the expression of, “How low can you go?” I became curious with this game and looked in the Guinness Book of World Records to see the record for the lowest limbo. The answer? None. The limbo is not listed. However, if you take the same bar that is used for the limbo and use it for the high jump or pole vault, the paradigm changes dramatically. I feel we must have a paradigm shift from limbo, a simple party game, to pole vaulting and the high jump. Both of these activities are featured in the Olympics and in the Guinness Book of World Records. The record for the high jump was set by Javier Sotomayor of Cuba at 8 feet, ½ inches. The record for the pole vault was set by Sergey Bubka of Ukraine at 20 feet, 1¾ inches. That’s a long way from the limbo. 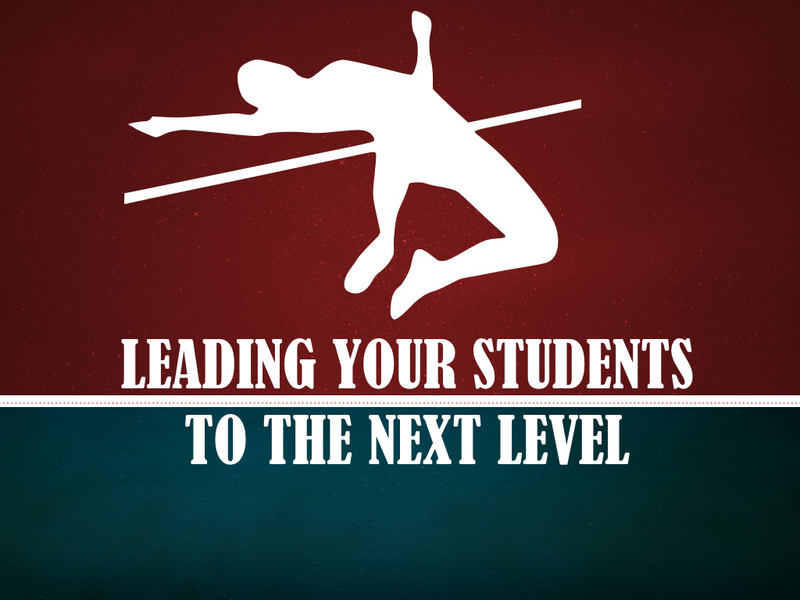 What would happen if we turned students into pole-vaulters? We could change the polka music into a symphony of unity. I’ve long been taught that what leaders do in moderation that our followers will do in excess. My experience is wherever you set the bar, people are capable of reaching it. It amazes me how the Mormon organization sets a bar for their young adults to give two years of their life to missions, while Christendom in general has labeled this group as the “Lost Generation.” Perhaps this is because they have become board and disengaged with the low expectations and mediocre faith we have instilled in them. I believe this generation DESIRES to excel, but we have to start expecting it of them. We can turn polka dancers into high jumpers and limbo’ers into pole-vaulters, however, we must lead our students to change their paradigms. If you use this post as an activity with your students, you can have all of the students play the limbo, then explain to them the differences between the limbo and the pole vault. Give all participants a popsicle stick. Have them write on the popsicle stick ONE EXPECTATION they have of themselves. Posted on February 2, 2016, in Free For All Friday, PILLAR #3 – MINISTRY, Student Ministry and tagged expectations, limbo, students. Bookmark the permalink. 1 Comment.